At Bertha's Landscaping, we design, construct, and maintain yards. Since 1997, we've been helping our clients beautify their gardens. We have a flair for creating unique and happy environments. 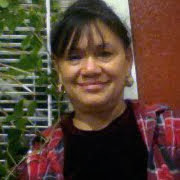 Call me, Bertha Mendoza, for a free consultation at 408-206-1371. Tell me what you like and don't like. What landscaping problems do you need solved? Are there any upcoming events in your garden—weddings, parties, etc? Construction of Fences, Trellises, etc. … from Bare to Beautiful! Call me for a free consultation, or email your requests.